Designed to make your wedding simple and easy. Sort your GUEST LIST by thanks you cards sent. 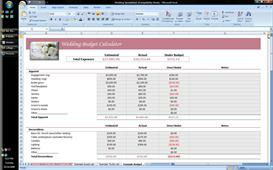 All 3 spreadsheets allow for users to edit columns and titles to fit your wedding better. For example: if you wanted to add a column in the GUEST LIST for "Table" you could do so easily, and you could sort by this list. If you need another item in BUDGET you could easily add it. Simple layout and very easy to use. Easy on the eyes. Change the colors if you want. The possibilities are endless. 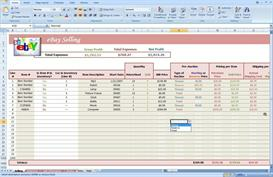 All spreadsheets are formula protected to protect from accidental deletion of formulas. 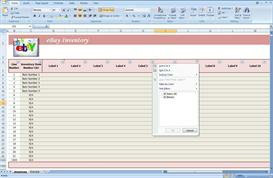 I will give you the password upon purchase so you can edit the formulas if you wish. 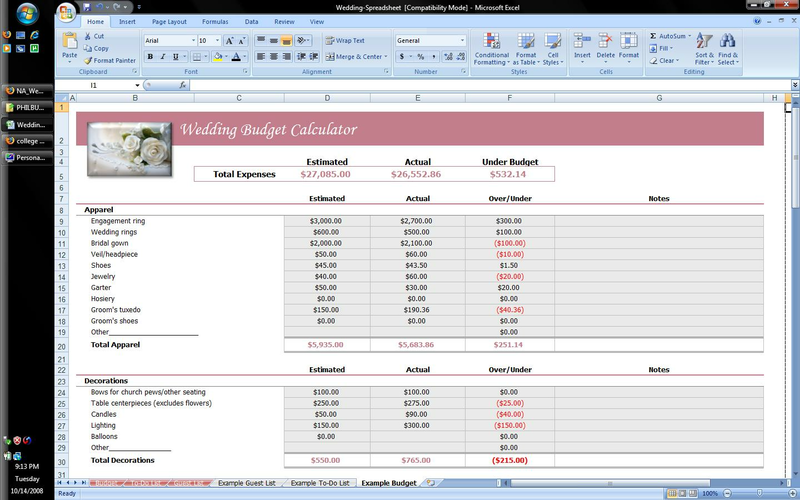 I give you 6 separate Spreadsheets compiled to one Excel Workbook: 1 TO-DO LIST, 1 BUDGET CALCULATOR, 1 GUEST LIST, 1 To-Do List example, 1 Budget Calculator example, 1 Guest List example. Payment can be made via Credit Card, PayPal, Online Check, Personal Check, or Money Order.Contact me first if you would like to purchase with a Personal Check or Money Order. DELIVERY METHOD: HOW DID YOU PURCHASE? My Website: If you purchase the spreadsheet through my website, "Buy this Spreadsheet" link above, you will be redirected to an instant download site where you can instantally download the spreadsheet upon payment. 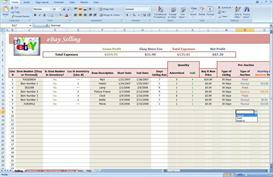 eBay: If you purchase the spreadsheet through eBay, you will be emailed a download link upon payment. eBay does not provide a way for an instant download. I will have to email the link to you. You will receive the email link in your inbox within 24 hours of purchase, but usually within the hour. Payloadz: If you purchase the spreadsheet through the Payloadz you will receive an instant download link in your inbox upon completion of payment.